This album is amazing. If you ever find any more school musical LPs, please share them. I LOVE this stuff! You're doing God's work rescuing all these wonderful treasures. My Junior year in High School (early 1973) our lead Choir (The Chambers Singers) did an LP like this with Chuck Mangione. I used to have a copy of it, but my brother ripped it off, and his ex wife get it when they split up. One of the songs they did you can hear on his LP "Land of Make Believe". Thanks for this download. Wow! That is my Dad's album, I didn't think anyone else in the planet had heard it. 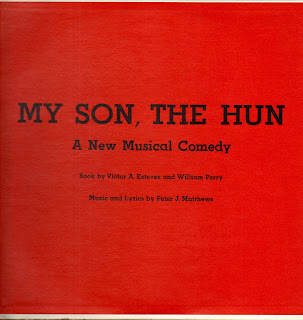 My dad had a part in doing this play and album. In fact my brother has an album and the actual script. It is good to know that my dad will live on. He was born in Bayonne, New Jersey and his name is Victor Estevez. My name is Anna Estevez.